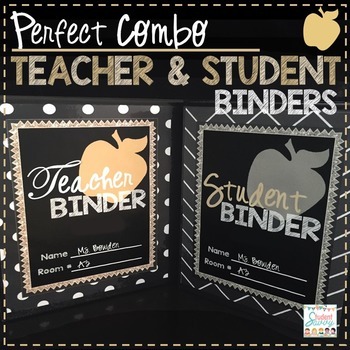 Editable Teacher & Student Binders - Glitter & Gold - Combo Pack! 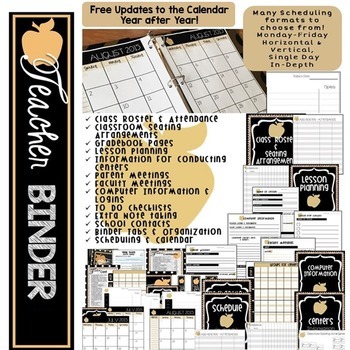 Have all your classroom and student info at your fingertips! 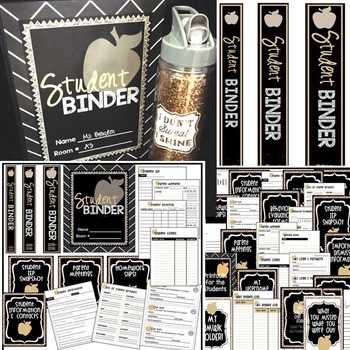 With the Glitter & Gold Teacher & Student Binders, you'll have an entire calendar plus schedule sheets in several different formats! (Horizontal, Vertical, Single-Day, In-Depth, etc). 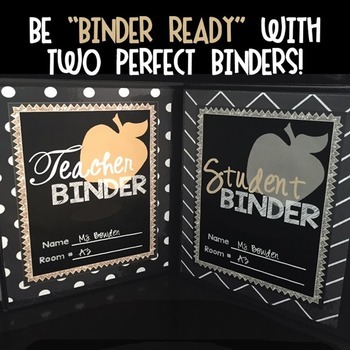 You'll also have information on your lessons, centers, grouping, seating arrangements, faculty meetings, parent meetings, to do lists, contacts, rosters, grading, note taking, students background information organized, birthdays, contacts, parent meetings, IEPs, behavior evaluation slips, homework slips, dismissal information, student logins, printouts for the students, homework folders, out sick folders, reading logs, and more! This download contains two editable Powerpoint files and PDFs!